We, the undersigned organizations, write to you – entities involved in the processing, use, regulation, and financing of Amazon crude – to request that you take action to stem the influx of Amazon crude oil into the United States. Expanding oil drilling in the Amazon rainforest runs counter to the scientific imperative to keep at least two-thirds of fossil fuel reserves in the ground to avoid reaching two degrees Celsius of warming and to have a fighting chance at escaping the most catastrophic effects of climate change. Continuing to expand the fossil fuel frontier in places like the Amazon will lead the world to drastically miss the Paris Accord targets, with severe consequences for our climate. The negative implications of continued oil drilling in the Amazon are particularly egregious given the region's global ecological and cultural significance. The Amazon sequesters large quantities of carbon dioxide and plays a critical role in regulating the global climate. It contains one-fifth of the world's flowing fresh water, produces one-fifth of the planet's oxygen, and houses one-tenth of its biodiversity. It is also home to hundreds of indigenous nationalities, including dozens living in voluntary isolation. Oil extraction in the western Amazon Basin, where the vast majority of oil drilling in the Amazon occurs, causes negative community health impacts, environmental contamination, deforestation, and biodiversity loss. To make matters worse, these projects often occur on or near the territories of indigenous nations that have not been properly consulted per national and international laws, or have explicitly rejected the presence of oil companies on their land. 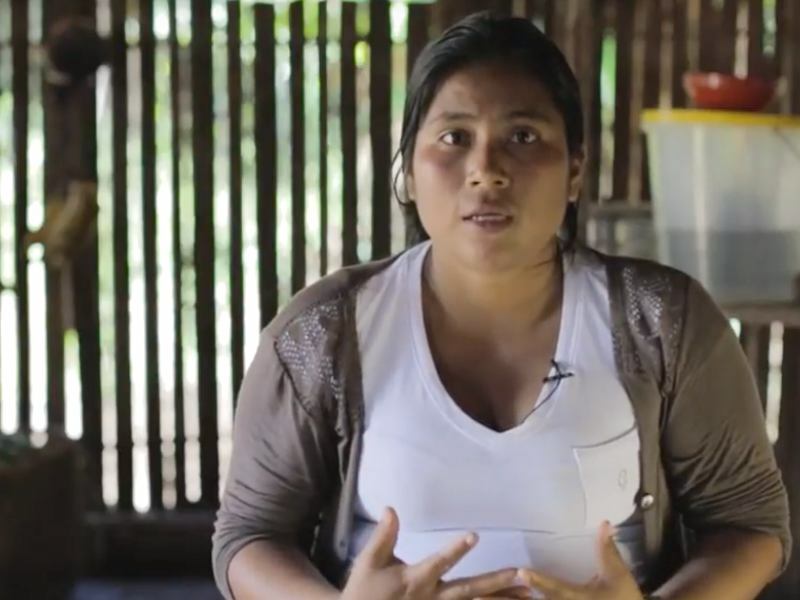 In spite of community resistance and the scientific imperative of placing a moratorium on new oil and gas projects to prevent climate chaos, Amazonian governments continue to auction off new oil concessions to the highest bidder. United States institutions and companies can and should play a role in stopping the expansion of the fossil fuel frontier in the Amazon. About 60 percent of crude oil exports from the Western Amazon come to the United States, largely to California, where it is refined and enters the fuel streams of end users. This means that U.S. corporations – whether oil refineries processing Amazon crude or companies with large truck fleets using Amazon crude in their transport operations – -are creating the demand that justifies the continued expansion of fossil fuel extraction in the Amazon. In addition, various U.S. financial institutions are bankrolling oil companies exploring and extracting oil from the Amazon and California policymakers have remained silent regarding the presence of Amazon crude in the state's fuel mix. 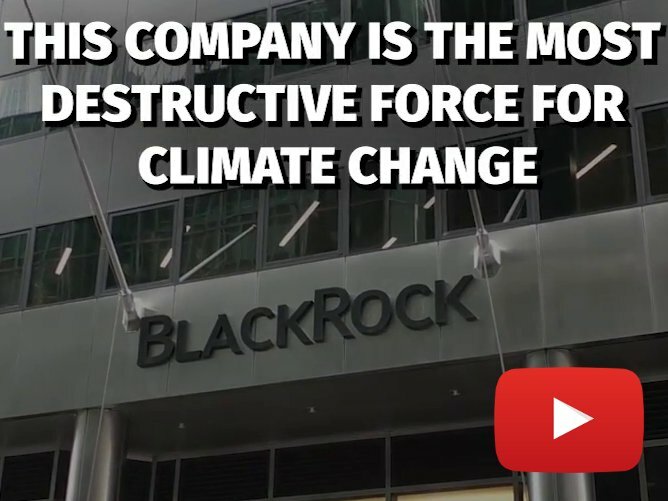 Financial institutions: publicly disclose company investments in climate-related holdings, divest all portfolios from any financing of exploration or drilling of Amazon crude, and, if you are an Equators Principles Financial Institution (EPFI), urge fellow EPFIs to adopt new, stronger principles. Companies with large transport footprints: identify and eliminate company use of Amazon crude in transport operations and issue a public statement regarding steps taken to go Amazon crude-free; expand company commitments to clean, renewable energy. California policymakers: curb the importation of Amazon crude to California through legislation and/or regulatory action; support legislation that seeks to accelerate the transition away from fossil fuels. Thank you for taking action to ensure a safe and livable planet for present and future generations. We invite other organizations to voice their support for the End Amazon Crude campaign by adding their names to this sign-on letter. 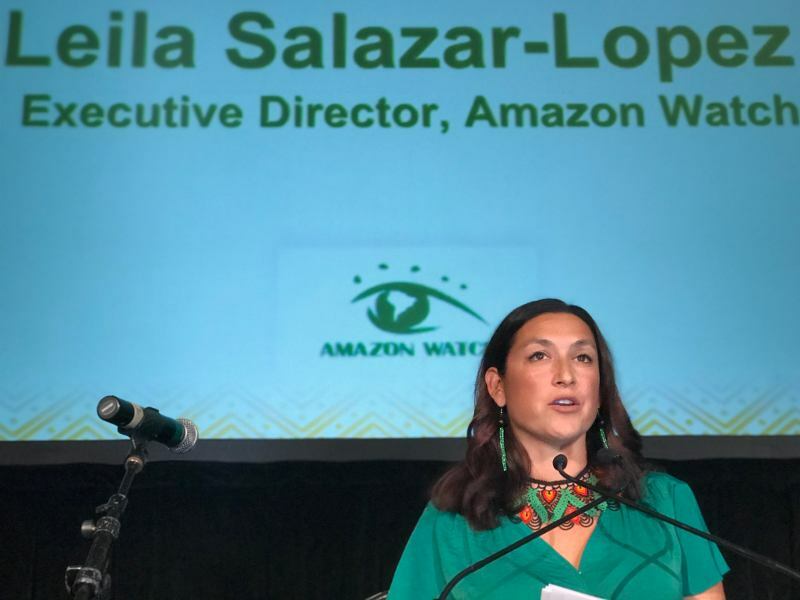 The campaign calls on U.S.-based corporations and California policymakers to take action to stem the influx of Amazon crude oil into the United States. Please use this form to sign on in support of the End Amazon Crude campaign.